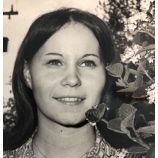 Donna Jean Block, 63 of Zanesville passed away Friday, March 22, 2019 at the Genesis Hospital. She was born April 11, 1955 in Parkersburg, WV the daughter of Donald Lee McCullough and Betty Jean Norman McCullough. Donna was self-employed along with her husband in the restaurant & food business. She especially enjoyed spending time with her family & friends. In addition to her Mother, she is survived by her husband of 23 years, Bryan David Block whom she married May 12, 1996, three children; Joshua Lee Grubb, Justin William Hunstman and Jessica Lynn Huntsman; two sisters, Kathy Lynn McCullough and Karen Sue McCullough. Several nieces including, Brittany Garner, Samantha (Justin) Brooks and Johnna Garner. Donna was preceded in death by her father. Visitation will be held from 4:00 PM to 6:00PM on Tuesday, March 26, 2019 at the Bryan & Hardwick Funeral Home with funeral service to be held at 11:00 AM on Wednesday, March 27, 2019 at the Bryan & Hardwick Funeral Home. Burial will conclude at the Mt. Olive Cemetery. The Bryan & Hardwick Funeral Home, 2318 Maple Ave. Zanesville is in charge of the arrangements. To share memories and condolences with Donna’s family please click on the Guest Book link on this page.